Here is an amazing and a not so typical baby shower done by Kim at Head Of The Table. 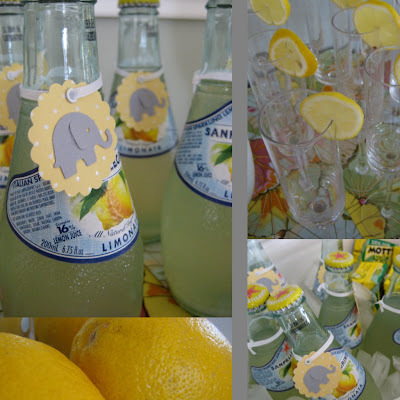 How refreshing is this yellow and gray elephant combination she used for all of the details. 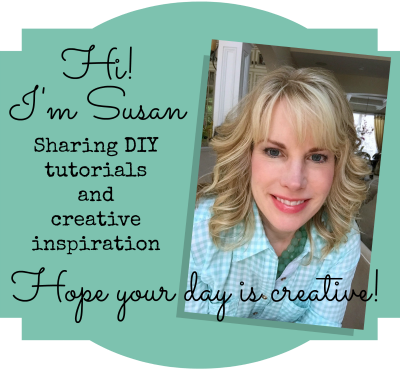 Visit her blog for more photos and details. 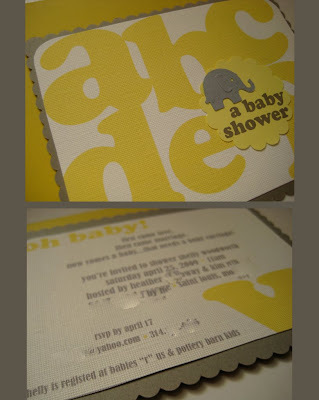 Alphabet and elephant shower invitation. 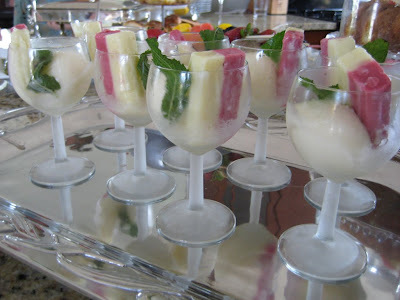 Lemon sorbet with raspberry/vanilla ice cream. 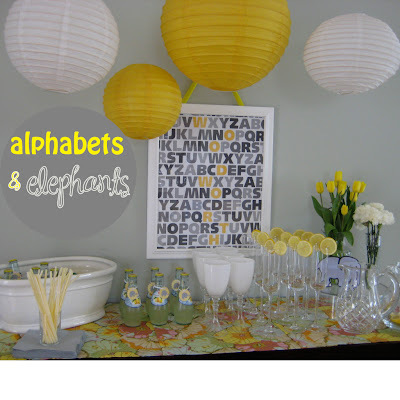 Where can i get the yellow and gray elephant invitations from? 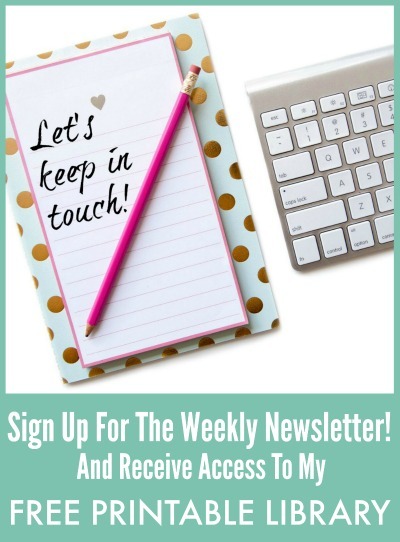 I would like to know where I can get the invitations from?